Naperville Exterior has been the most reliable roofing damage contractor in the Chicago Metropolitan Area. As a certified contractor we have experience with the toughest repairs from roofing damage, roofing storm damage, roof hail damage and wind damage. 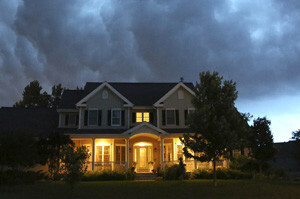 Naperville Exterior will inspect the entire roof to ensure we take care of all the damage that was done. We put time and effort into every project, and we make sure never to rush a project. Our high-end products combined with our remarkable craftsmanship makes us the best option. If you are living in Batavia and have experienced roofing damage, then feel free to contact Naperville Exterior. Residents of Batavia have relied on us for their roofing damage needs for over ten years. Customers in Batavia have trusted Naperville Exterior with services from roofing damage, roofing storm damage to roof hail damage and roofing wind damage. Batavia, Illinois is a city located in DuPage and Kane Counties with around 26,000 residents. Batavia is a suburb of Chicago. The city was founded in 1833 and is known as the oldest city in Kane County. We’re trusted because we are a certified contractor that follows up on our work with guarantees. Naperville Exterior is confident you will love our work just as much as our clients in Batavia. Clients in Batavia are confident in their choice because we back our work with a lifetime guarantee that is 100% transferable! Naperville Exterior’s team of experts have over 20 years of combined work in the industry including roofing damage, roofing storm damage, roof hail damage and roofing wind damage. Naperville Exterior has been providing high-value work to the Batavia area for over a decade, helping raise home values while improving the exterior of their homes. If you are looking for the most affordable and certified contractor in the business, call us now! Contact Naperville Exterior at (630) 254-4831 to inquire about your free estimate today!